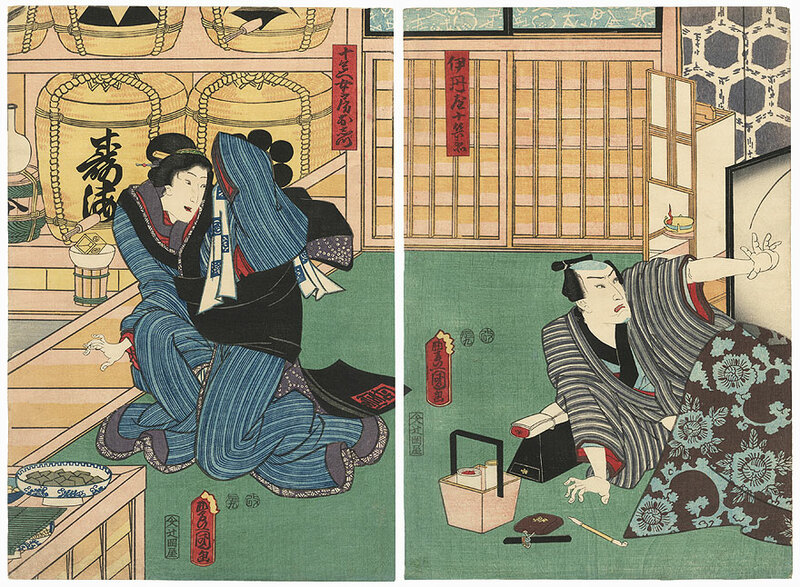 Comments - Interesting kabuki scene of the former samurai Itamiya Jube being awakened by the ghost of Bun'ya, the man he murdered. While traveling, the evil Jube killed the poor blind masseur Bun'ya for his money. Here, Jube sits up in bed as the ghastly spirit begins to appear, throwing out his hand in self-defense as he grimaces angrily. 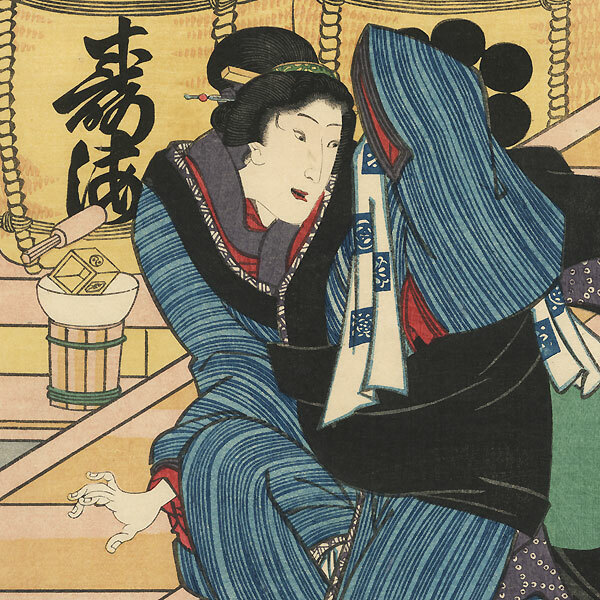 At left, Jube's wife, Oshizu, cowers behind her kimono sleeve. 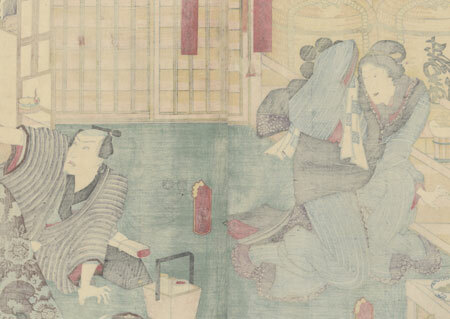 Barrels of sake wrapped in straw mats sit on the shelves of their store behind her, with dishes of food set out on a wooden chest at lower left. From left, the actors are Onoe Kikugoro IV and Bando Kamezo I. An intriguing subject with expressive figures and a handsomely detailed setting. Image Size - 14 1/8" x 19 1/4"
Condition - This print with excellent detail as shown. Two separate panels. A few small holes, repaired. Slight soiling. Please see photos for details. Good overall.